Try our beta version of free web hosting for unprofessional developing of experimental websites, or go for cheap web hosting with unlimited disk space, highest speed & countless other features. Designed to let you get the most out of a single project. Premium with Power. Nearly unlimited resources, the ability to hosts multiple medium-large scale projects and the perfect place to fast-growing websites. Shoot for the moon. Host massive projects, business websites and experience the best of what WordPress has to offer. Try us NOW and get your MONEY back with our 30-day money back guarantee! 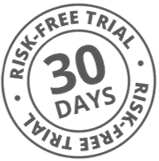 Try us for 30 days Risk-Free! Hostinger is confident with the product it provides, therefore a 30-Day risk-free trial with a money back guarantee is on offer! Try it now as the offer expires soon. If you don't like our product you can get your money back easily. No hassle, no questions asked.